Plus Technologies is donating much needed items and money to the survivors of Hurricane Harvey. 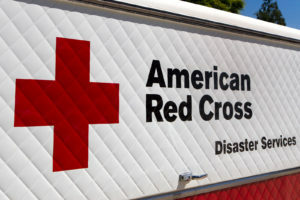 Plus Technologies’ personnel have donated money through the American Red Cross. Additionally, we have donated articles of clothing that are much needed in the Houston area. The donated goods are being transported down to Houston as part of a shipment being organized by Bill’s Donuts, located here in Centerville, Ohio. Our hearts go out to our customers in the area. Such as City of Houston, Harris County Health, and others. We stand ready to provide any extra support these customers might need. Thoughts and prayers are with you. The first major hurricane of the 2017 Atlantic hurricane season, Harvey developed from a tropical wave reaching tropical storm status on August 17. The storm crossed through the Windward Islands, passing just south of Barbados and later near Saint Vincent. On August 24–25, Harvey made landfall near Rockport, Texas. Harvey caused at least 71 confirmed deaths; 1 in Guyana, and 70 in the United States. Catastrophic inland flooding is ongoing in the Greater Houston metropolitan area. Economic losses are preliminarily estimated at between $70 to $200 billion, with a large portion of the losses sustained by uninsured homeowners.